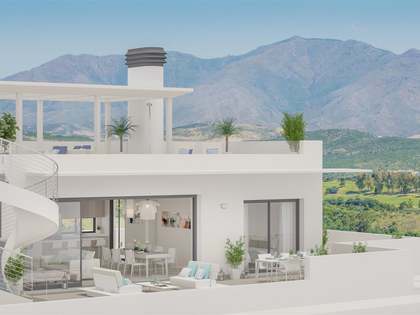 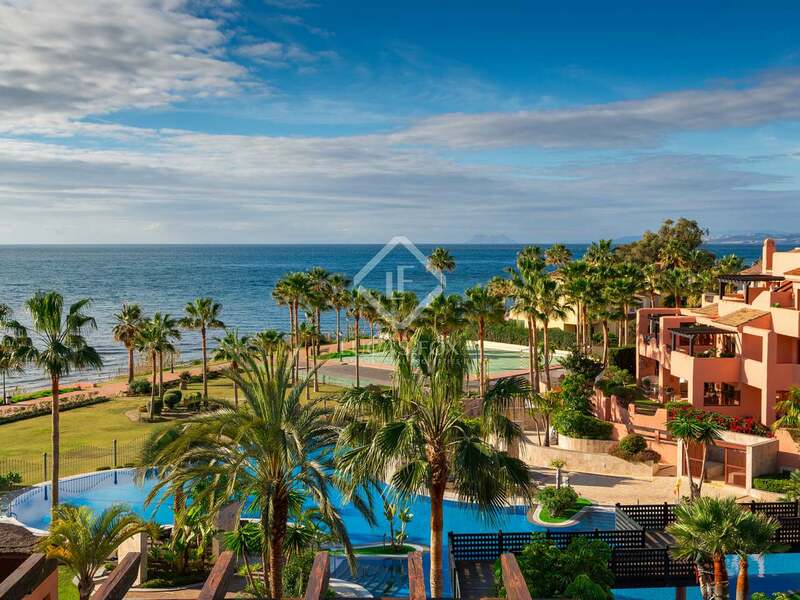 Within a wonderful residential complex in Estepona's New Golden Mile, we find this 155 m² penthouse property for sale with a stunning 33 m² terrace with pool and sea views. 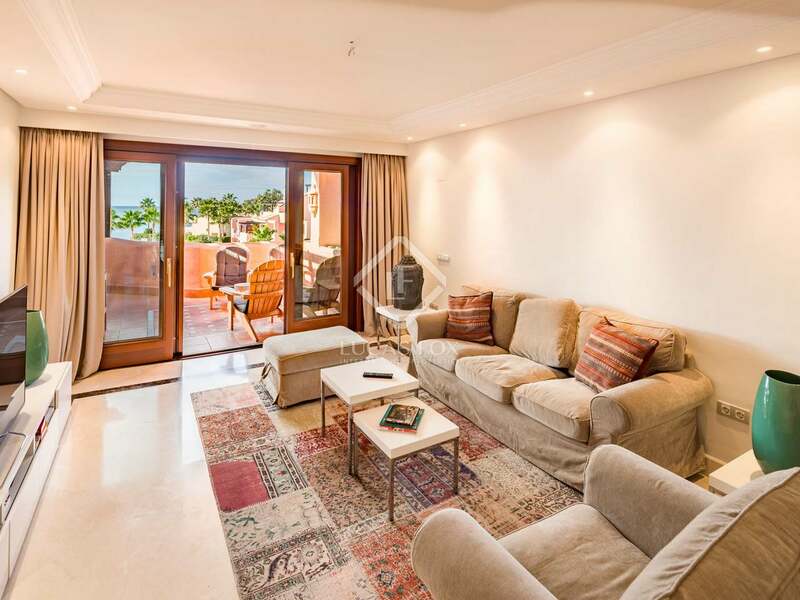 The property offers a bright, spacious living area that leads directly out to the large south-west facing terrace. 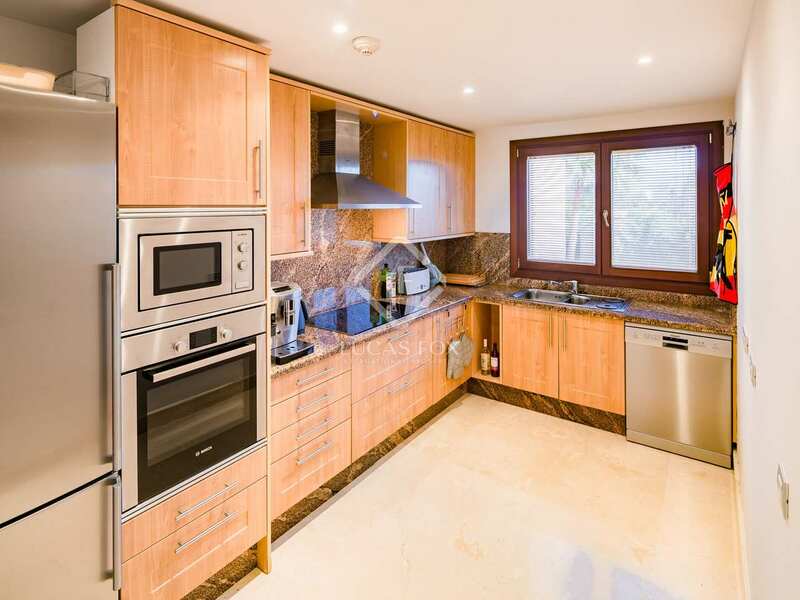 The kitchen is fully fitted and the apartment has 2 bathrooms. 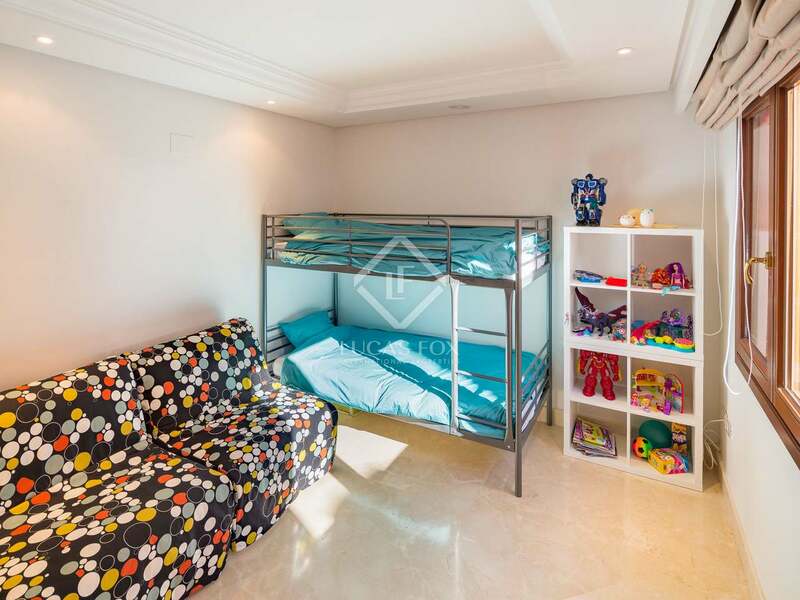 In the sleeping area we find 3 pleasant bedrooms. 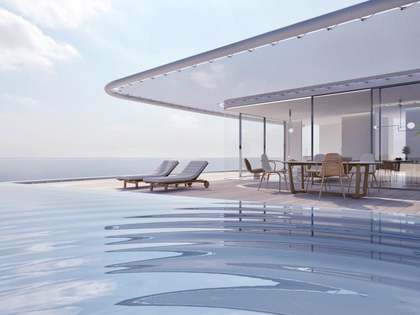 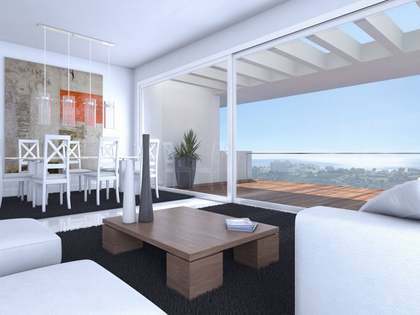 The penthouse has air conditioning and heating and receives plenty of natural light. 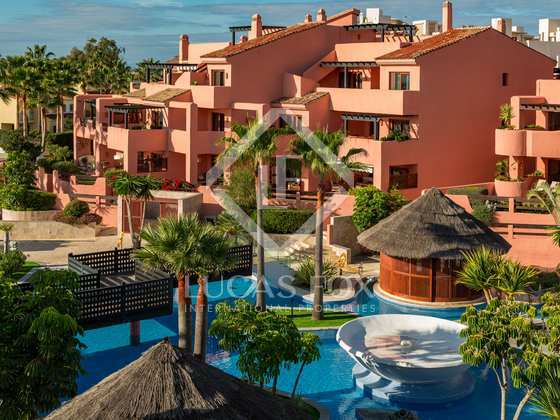 Within the complex residents will find a wonderful indoor pool, gym and spa as well as a stunning communal garden and outdoor pool. 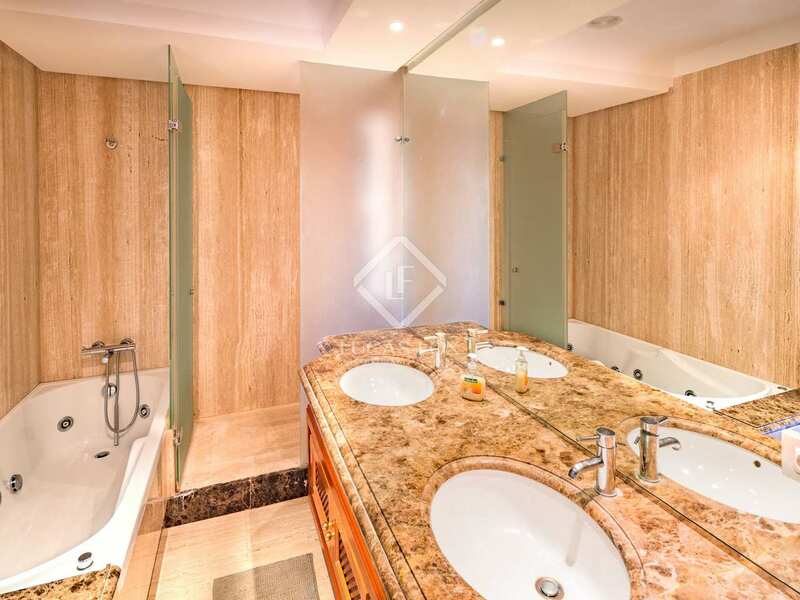 The building offers a 24-hour reception service and the property comes with a storage unit and 2 garage parking spaces in the same building. 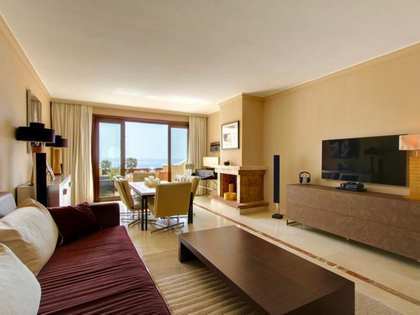 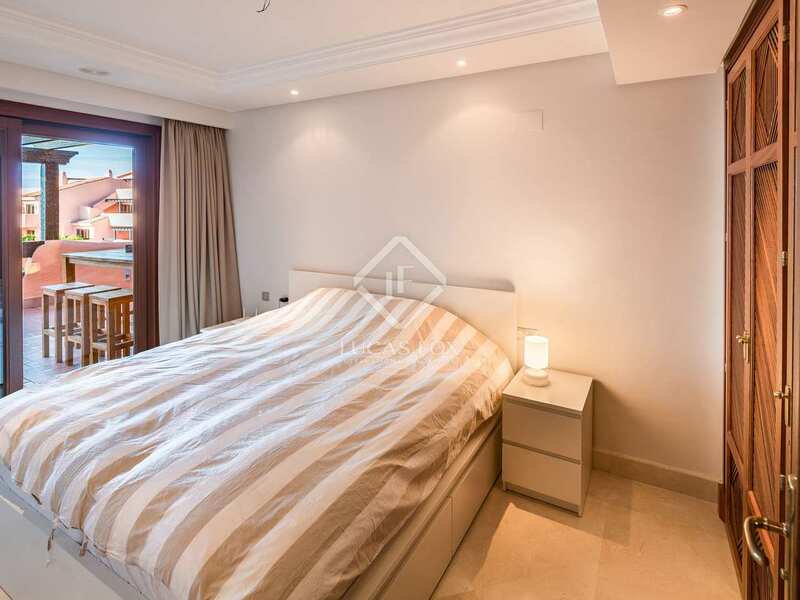 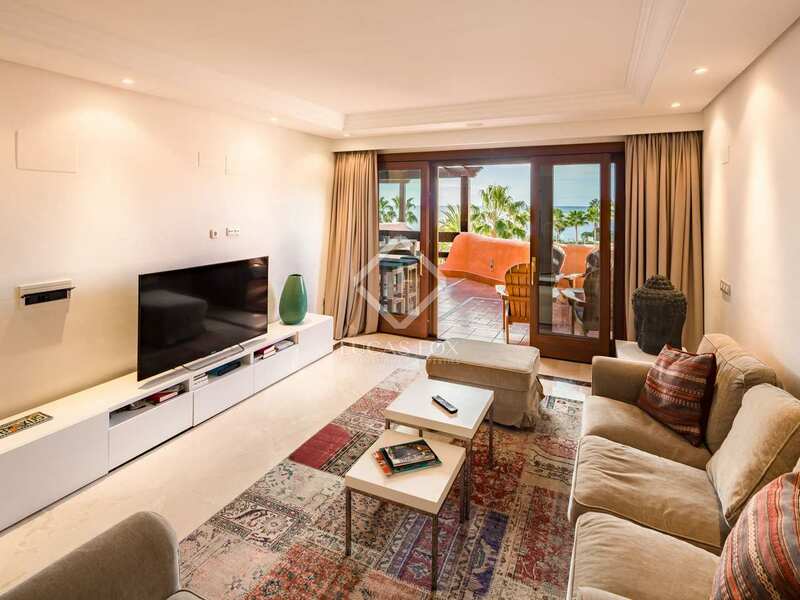 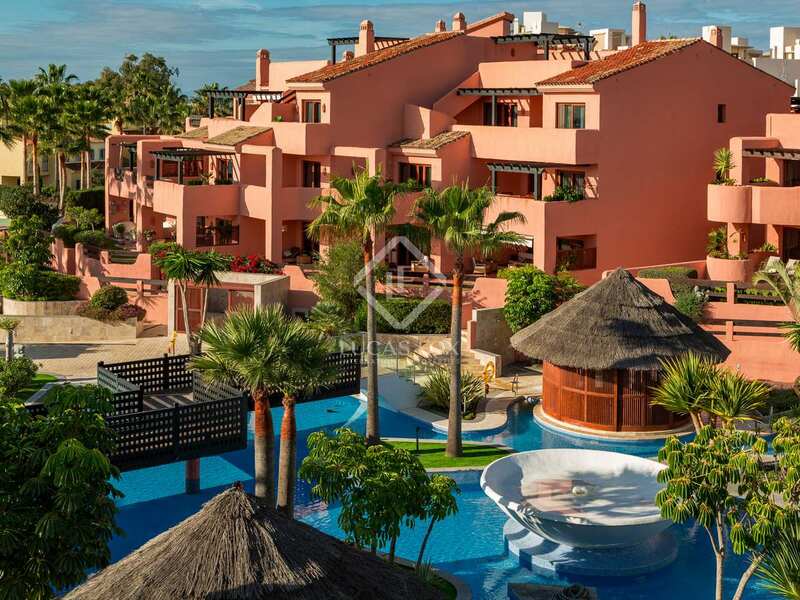 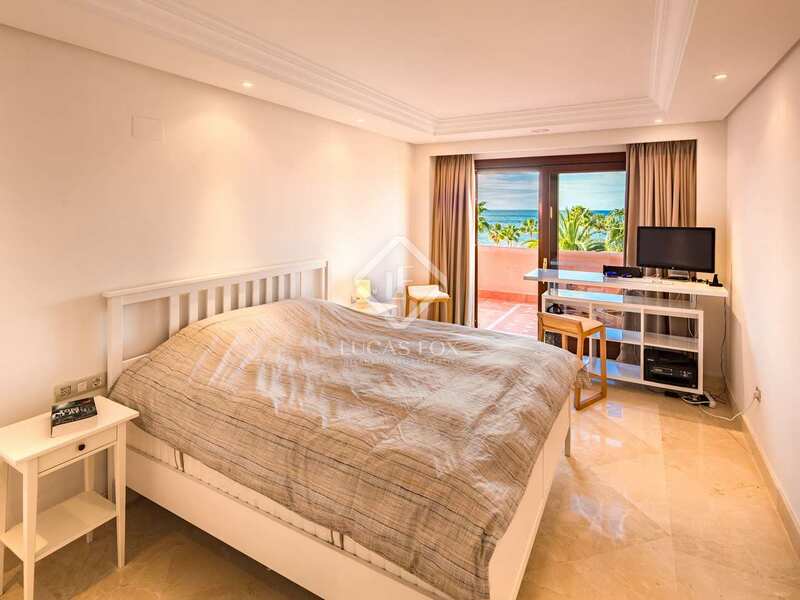 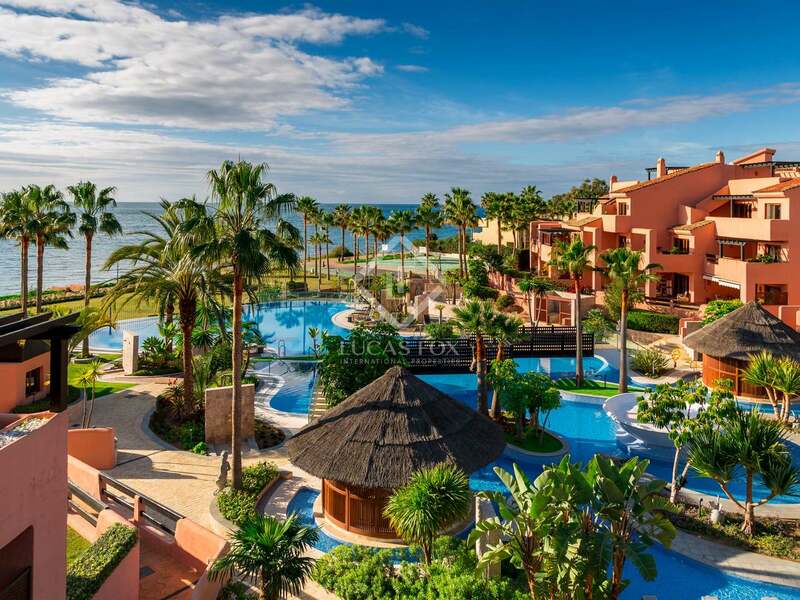 The property is walking distance to local amenities and home owners at this complex can enjoy the privilege of access to the 5-star facilities of the Kempinski Hotel and Laguna Village, with its wonderful shops, cafes, restaurants, bars and pools. 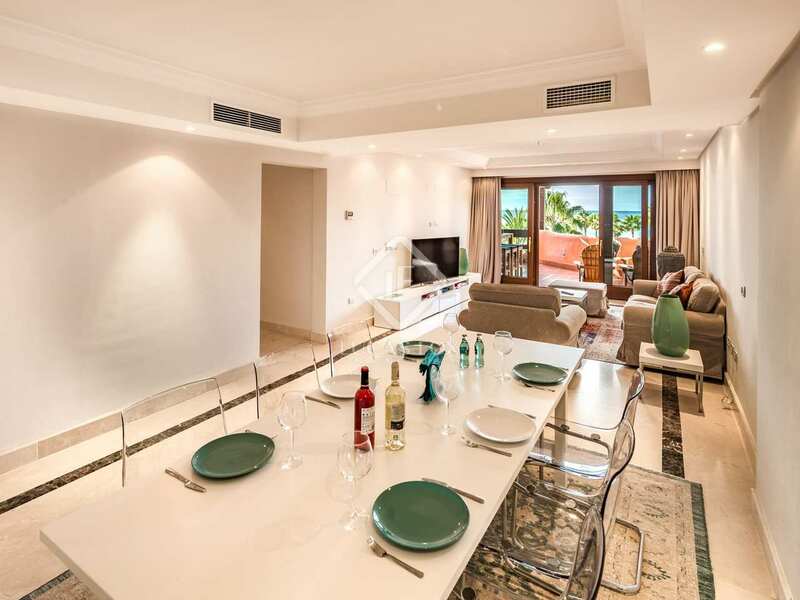 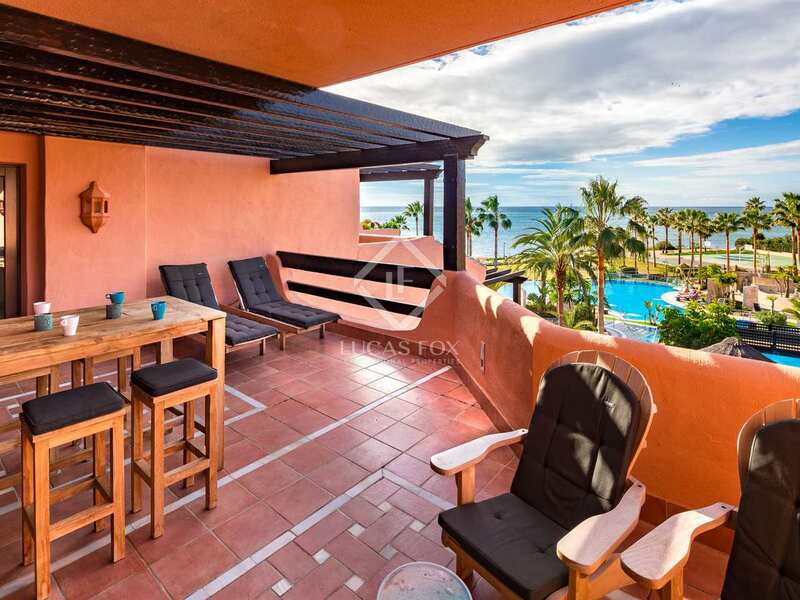 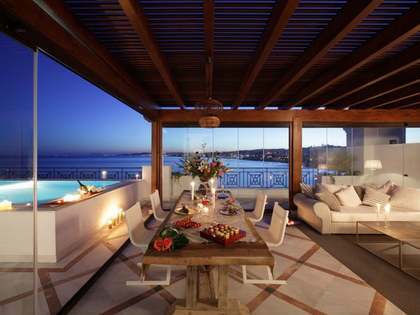 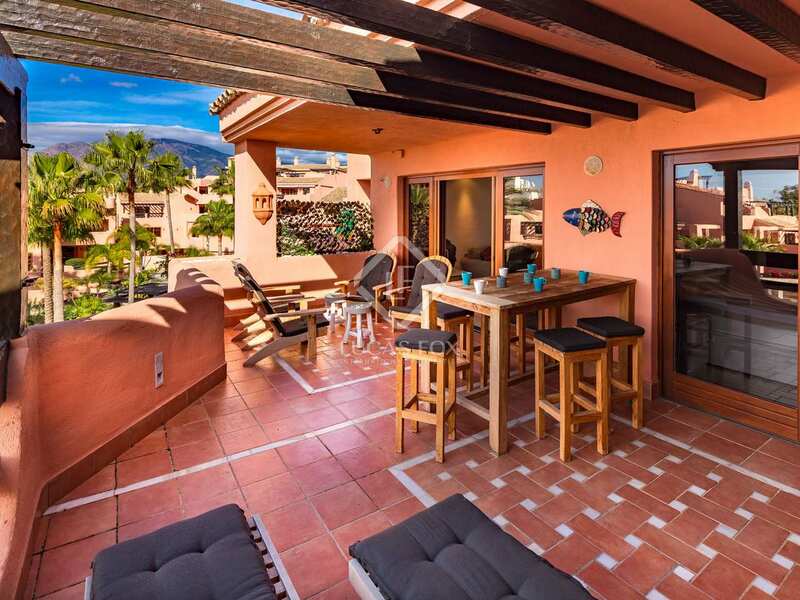 A superb penthouse property with a holiday feel all year round. 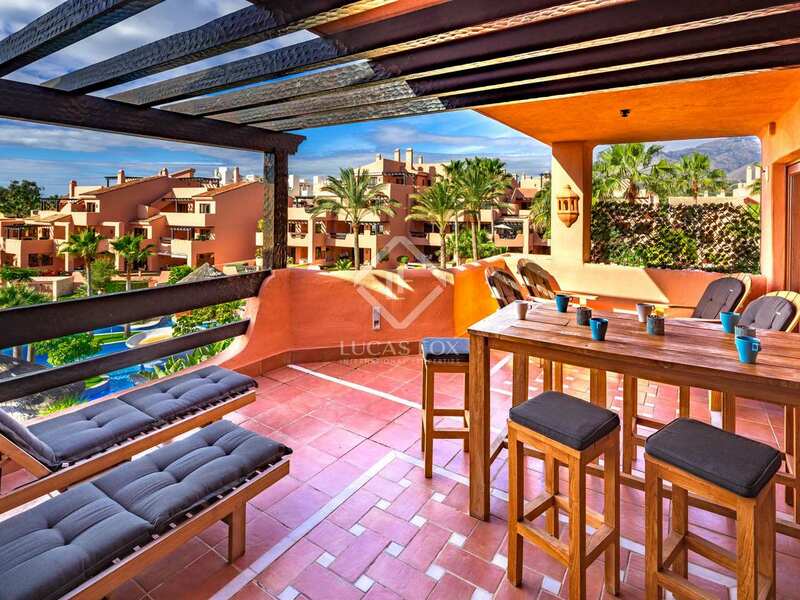 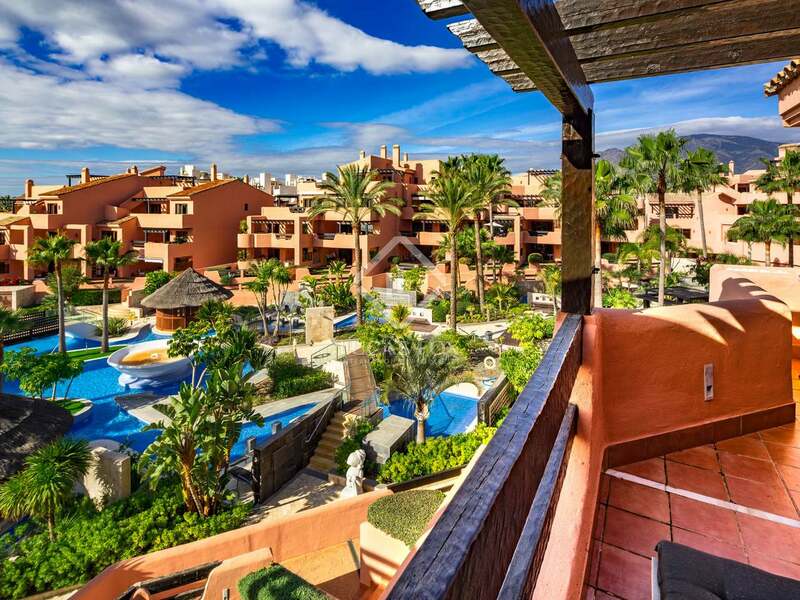 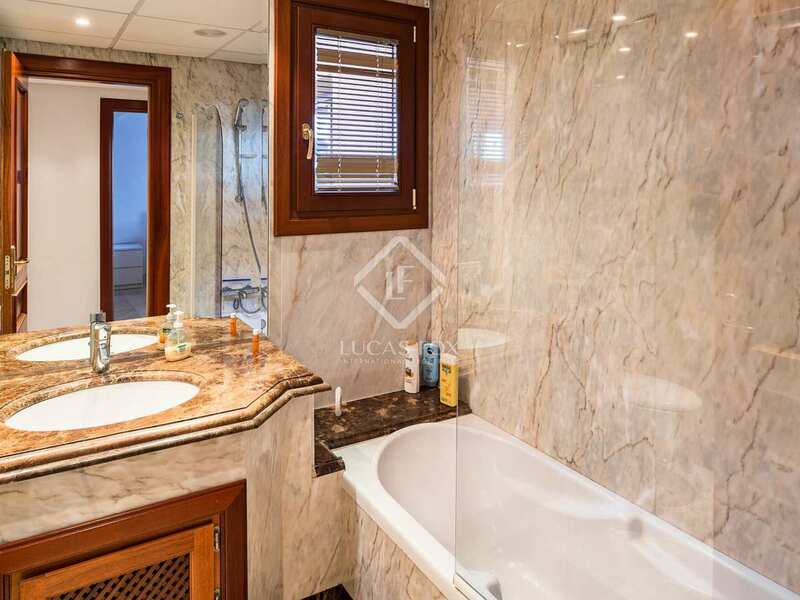 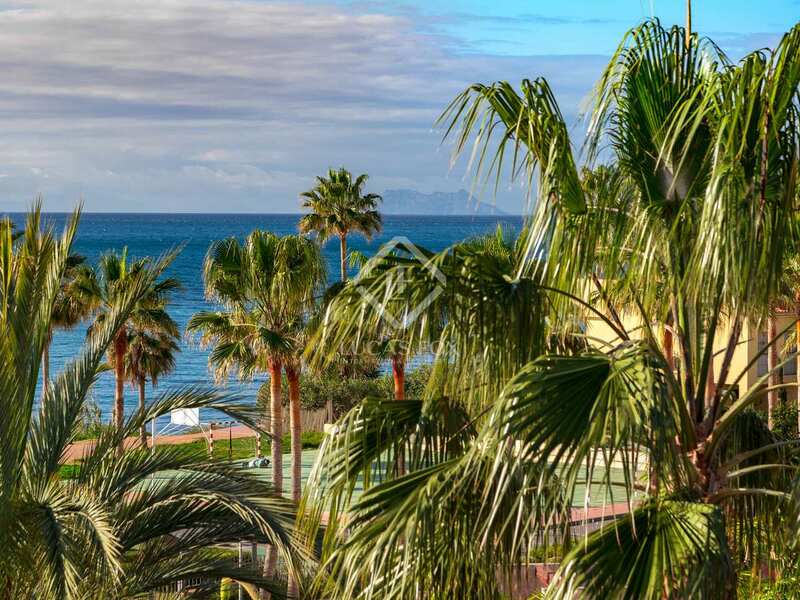 This penthouse property is located in a residential complex, right in front of the beach in Estepona's New Golden Mile area. It is walking distance from the trendy Puro Beach and just 5 minutes on fot from local amenities.